If you are looking for camping luxury in Italy, you cannot go wrong with Lux-camp Marina di Venezia, which lies exactly opposite Venice's famous Lido beaches. With beach and sea within skipping distance, children will love a camping holiday so near what is arguably Italy's second most famous city. 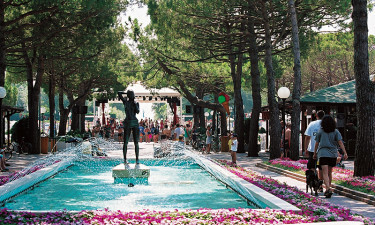 So why not make Marina di Venezia your next luxury camping holiday destination? We know Marina di Venezia! 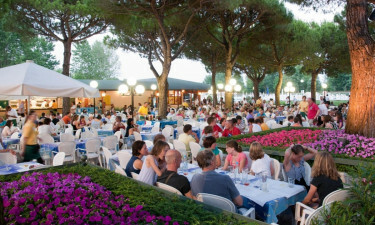 Marina di Venezia is one of the world's best and biggest campsites. This luxury campsite offers families, couples and single travellers a wonderful location set in pine woods directly to the beach. Luxury mobile home accommodation in secluded pitches makes for a relaxing camping holiday for everyone. Book your next camping holiday with LUX-Camp online or contact one of our experienced advisors at tel. 01 437 8555. 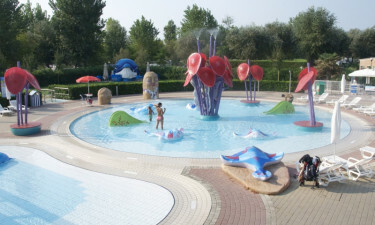 Why choose a luxury campsite like Marina di Venezia? There are several reasons to choose Marina de Venezia, and we have gathered some of them below. And then there is the city of Venice itself, within 5 km distance, one of the most iconic and romantic cities in the world! Venice boasts more art treasures, designer shops, gourmet restaurants and stunning architecture than any guest could possibly manage exploring in a 2-week holiday! All mobile homes have power, gas, water, and waste water connections. There is a TV hook up and internet users will be happy to learn there is a wireless LAN. The site boasts a dog shower and dog lawn for pet owners, who are allowed to keep dogs in their rented mobile home. There are cooking and laundry facilities and an internet terminal. Disabled visitors are welcomed and there are ramps for wheelchair users and wheelchair accessible sanitary facilities. There is a bus stop for local services. 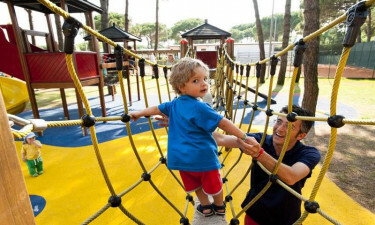 Marina di Venezia is a luxury camping site with more onsite leisure facilities and amenities than most. From family fun at the beach to time spent playing tennis, relaxing in a sauna or thermal bath, competing with partners in golf matches or going sailing and surfing, this Lux-camp has it all. Why not make Marina di Venezia your next luxury camping holiday destination - it's a fabulous base for exploring this area of Italy. Little mermaids will adore the AquamarinaPark, where can spend hours of splashing in the baby pool, exploring its fabulous castle or hop off the water slides into the baby lagoon. At the Leo Club playground and Gommaland young explorers and engineers can test their skills. Your kids won't want to leave this amazing campsite! For families with older children, there are trips to other lagoon islands or cycling excursions into the immediate surroundings of this Lux-camp. Teens will also enjoy the many sports facilities and tournaments arranged by the animation team on site. All the shows and parties arranged by the campsite are also very fun for both yound and old to watch. With luxury camping, adults can look forward to amazing sunsets, an enormous pool area, parties and shows, spectacular firework displays and onsite entertainments. An onsite snack bar and restaurant offer a great selection of typical Venetian as well as international cuisine. 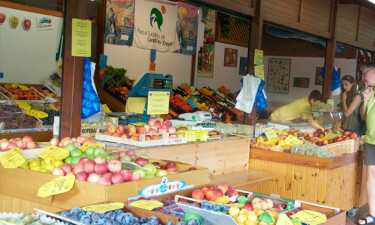 An onsite shopping centre and bakery provide campers with everything life's little necessities. With Venice so close by, there are plenty of shopping trips campers can plan for a rainy day - not that there are many of those in this part of Italy!